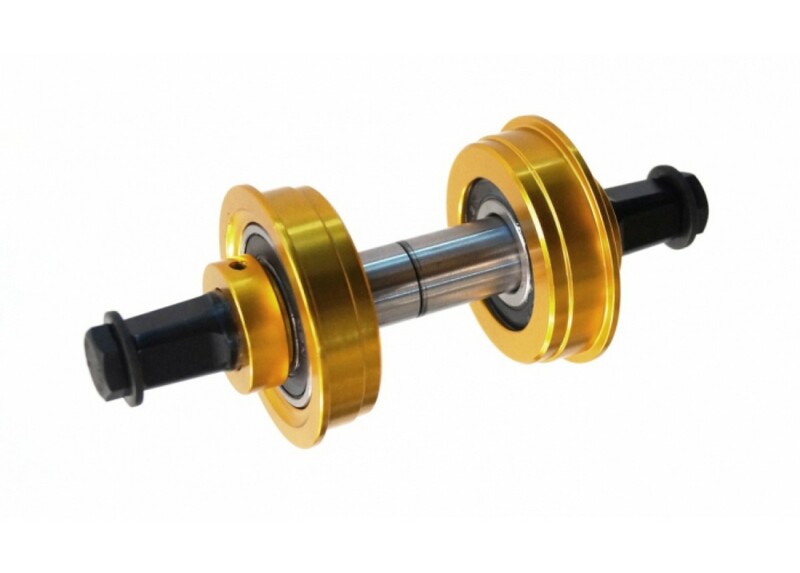 Convert your one piece crank to three piece with this spindle/bottom bracket. Sealed Cartridge Bearing - Aluminum alloy cups and lock rings. All parts shown are included.